« Do IT admins fear for their future? This past week, we did some reflection on The Cloudcast about the evolution of technology over the last 6+ years. One of the topics were discussed was the impact that OpenStack had on the industry. People has various (strong) opinions about the level of success that OpenStack has achieved, but we discussed how OpenStack changed the IT landscape in a number of significant ways. Announced and launched in 2010, OpenStack was designed to deliver an API-driven cloud infrastructure, similar to AWS EC2 compute and S3 storage. At the time, there was a split about whether the project(s) would focus on being a VMware replacement, or an open version of AWS services. This was heavily debated by groups focused on both agendas. While OpenStack was by no means the first implementation of infrastructure services (networking, storage, firewall, proxy, etc), it was the first significant time when this approach to technology was embraced by Enterprise-centric vendors. Until then, both Enterprise-vendors continued to provide hardware-centric offerings that complimented offerings like VMware virtualization. Since then, API-centric infrastructure is becoming more commonplace in the Enterprise, especially with the emergence of containers and container platforms. While companies like Red Hat, SUSE and Canonical had been selling commercial open source to the Enterprise for many years, OpenStack was the first time that companies like Cisco, HPE, NetApp, EMC and many others were attempting to combine proprietary and open source software into their go-to-market offerings. Since then more IT vendors have been building open source offerings, or partnering with open source centric companies to bring offerings to market for customers that are demanding open-first with their software. Who’s in Charge of OpenStack? While Rackspace may have wanted to leverage all the engineering talent to take on AWS, it wasn’t able to maintain ownership of the project. The OpenStack foundation was an early attempt at trying to bring together many competing vendor interests under a single governance model. Critics would argue that it may have tried to take on too many use-cases (e.g. PaaS, Big Data, DBaaS) and projects in the early days, but the project has continued to evolve and many large cloud environments (Enterprise, Telco) are running on OpenStack. While OpenStack was viewed as a disruptive threat to the $1T Enterprise infrastructure industry, and heavily funded by venture capital, most of the founding individuals didn’t make out in a big way financially. Piston Cloud and Cloudscaling were sold to Cisco and EMC, respectively, with relatively small exits. SwiftStack has pivoted from just supporting OpenStack to also supporting multiple public cloud storage APIs and software-defined storage use-cases. Nebula went bankrupt. Even Mirantis has moved their focus over to Kubernetes and containers. 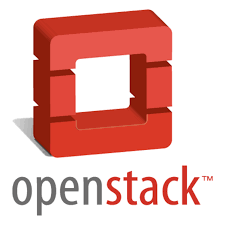 Ironically, Red Hat has become the Red Hat of OpenStack.